Tequila Totties work at numerous events supplying the very best staff. Our latest offering is our Beer Wenches and Beer Beauties for Stag dos, lads nights and any party that want something a bit different. Our young beer wenches serve and entertain our clients in a way that only a Bavarian beauty can. Serving beer in exciting clothing. The professional events team will order and serve your beer and drinks. This allows the event to continue unhindered. These girls will ensure your friends or corporate colleagues have an amazing time at your event. Our Tequila Tottie girls know how to keep the atmosphere up and are always happy to play the role of your Bavarian Beer Wench. We look forward to you booking with us. At the begining of your event you will need to raise funds in a kitty (if drinks are to be purchased, or if supplied in house this is not necessary). The team of wenches will then purchase drinks from the bar and keep a full list of reciepts for you, so there is no risk of money going missing. If you kitty is running low they will notify you so you can increase, or if you prefer you can simply order rounds of drinks each time. 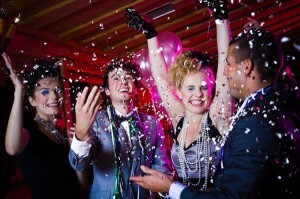 The team will work to cater for your requirements to ensure you have a fun filled night to remember. Fun and attractive personal server to build atmosphere and talking point at your event. You will be hard pushed to find Beer Wenches as competitively priced as Tequila Totties. Starting from £50 per hour per Wench, although discounts are available on multiple wenches.